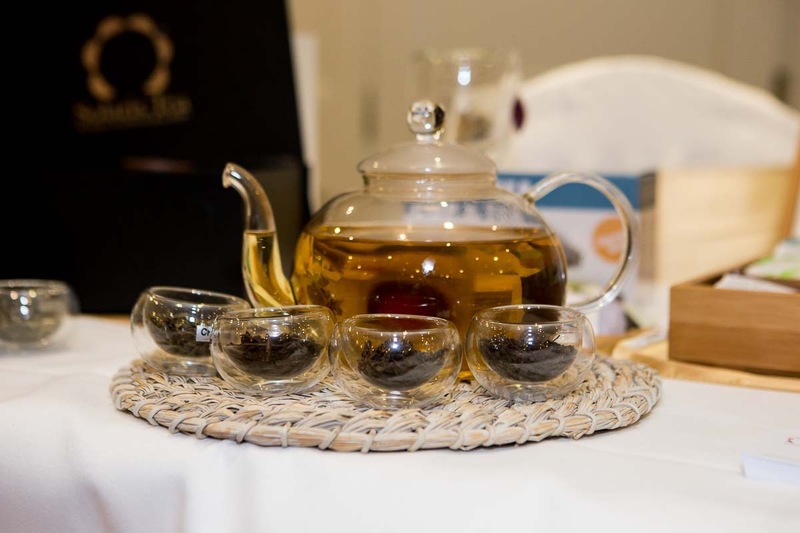 I won’t lie – it’s not easy to impress my tastebuds with a cup of tea, but Catriona introduced me to this organic tea company at the ITWBN event (at the perfect venue for the Afternoon Tea – Galway Bay Hotel) and I fell in love with it. Family owned business by the master tea blender and herbalist is based right here in Galway, Ireland. 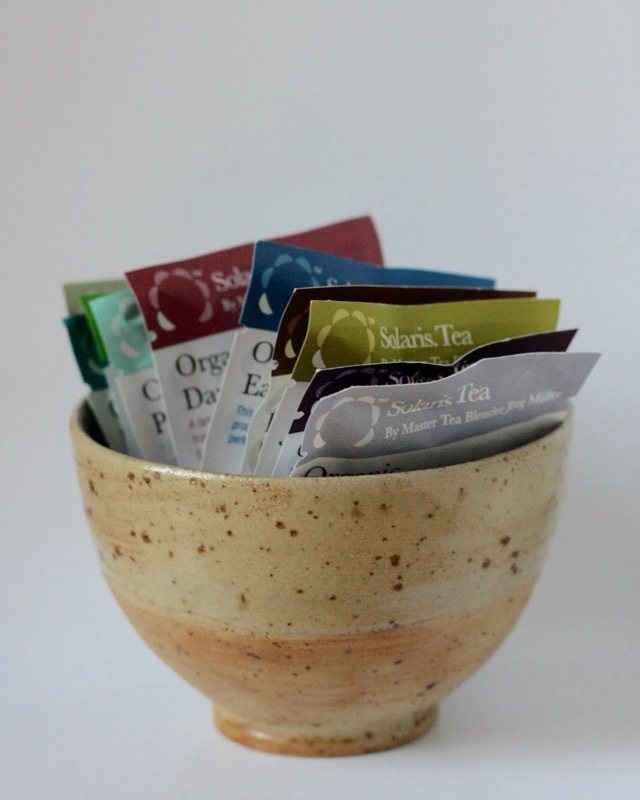 I was lucky to pick up a selection of individually packed organic tea bags and try each of them at my own pace. Earl Grey – the excuisitely scented, loose Organic Earl Grey is produced using Top Grade Organic Assam (TGFOP). A perfect balance of briskness, strenght, body and vigour. Darjeeling – a rare classic, grown by the Lingia Estate and plucked from purely Chinese plants (over 100 years old). Sophisticated, fruity, and wonderfully complex muscatel aromas. Chunmee – the favourite Green Tea in China. It has a soft, fruity aroma, with a sweet aftertone. Jasmine – made from carefully selected Jasmine Flowers that are used to steam the First Grade, Spring Flush Green Tea. Whole Jasmine flowers are then added to further enhance the flavour. White (Pai Mu Tan) – silky, smooth flavour. First Grade, First Flush, White Peony Tea (Pai Mu Tan). Naturally very lof in Caffeine and Hight in anti-oxidants. 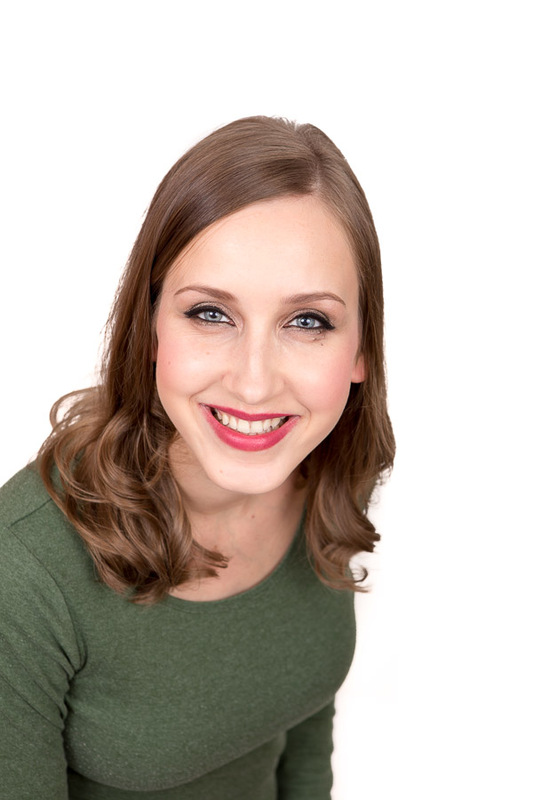 Mint Digest (Peppermint Delight) – beautifully soothing peppermint tea with refreshing herbs widely used to balance the Body’s Digestive System. Chamomile Dream Relax – has aromatic, sweet taste of Chamomile and Rose in this soothing, and relaxing floral Tea Blend. Rooibos Cacao Chai – Delicate sweet flavour and naturally high anti-oxidant content makes it a favourite amongst health drinks. If you would ask me to pick my favourite flavour – I would have a hard time doing so. 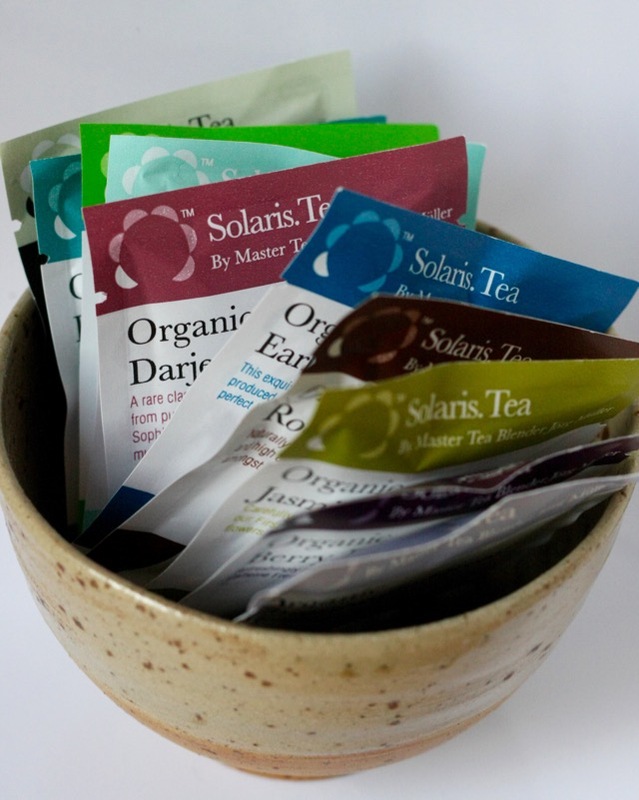 You can buy a selection box on the Solaris Tea website and see for yourself. Drinking the herbal tea won’t ever be the same especially since the brand can suit different tastebuds 😉 I definitely recommend to visit the online website to look through many options. 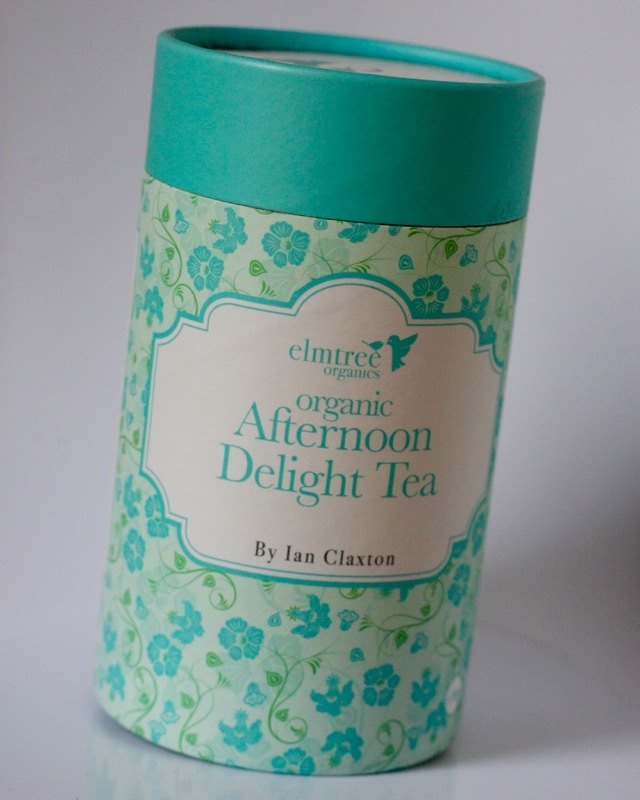 Maybe I’ve got addicted or maybe because I had a whole box of it – Afternoon Delight Tea was a flavour that I could also see myself going back to. This tea is perfect for mommies and mommies-to-be as it’s made blending Marshmallow Root, Chamomile, Peppermint, Fennel and Liquorish Root. This kind of tea and herb blend is actually great not only for mommies! It was a bliss to unwind with a cup of this tea after a busy day with a toddler. 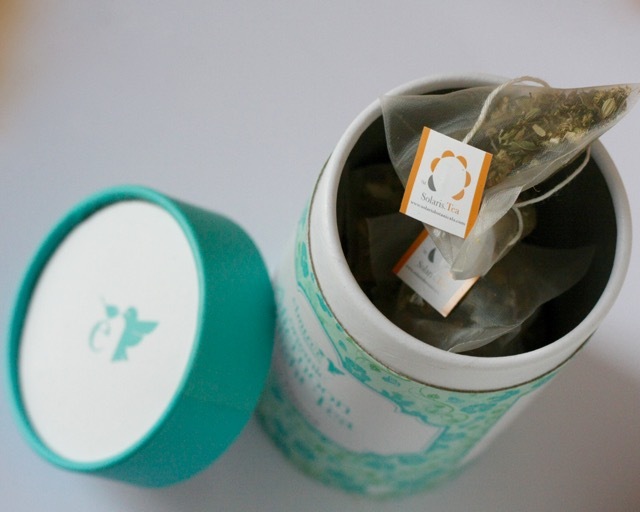 What’s more – Solaris Tea have a range of Pregnancy Herbal Infusion Teas including Morning Bright Tea and Pre-Mama Tea that I wish I knew about when I was expecting a baby. If you are reading this far – let me know in the comments below if you have your favourite tea and what tea it is? Would you like to try Solaris Tea or maybe you’ve tasted it already?